All vehicle prices on our web site reflect the original window sticker price when the vehicle was stocked in. Each vehicle’s selling price may or may not include dealer installed options, equipment or accessories and is subject to change. Any and all differences must be addressed prior to the sale of this vehicle. It is the customer’s sole responsibility to verify the existence and condition of any equipment listed as well as accuracy of pricing. Autobahn Volkswagen is not responsible for misprints on prices or equipment. Pricing is subject to change without notice. Photos shown were taken when the vehicle first arrived at Autobahn Volkswagen. New vehicle pricing includes all offers and incentives. Tax, Title and Tags not included in vehicle prices shown and must be paid by the purchaser. While great effort is made to ensure the accuracy of the information on this site, errors do occur so please verify information with a Volkswagen Sales Representative. This is easily done by calling us at 844-711-0192 or by visiting us at the dealership. All advertised prices exclude government fees and taxes, any finance charges, any dealer document processing charge, any electronic filing charge, and any emission testing charge. While great effort is made to ensure the accuracy of the information on this site, errors do occur so please verify information with a customer service rep. This is easily done by calling us at 844-711-0192 or by visiting us at the dealership. We appreciate your interest in our inventory, and apologize we do not have model details displaying on the website at this time. Please fill the form out below and our team will quickly respond, or, please call us at 844-711-0192 for more information. 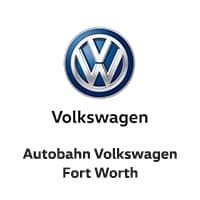 Autobahn Volkswagen Fort Worth	32.7597411, -97.3568888.